Well isn't this completely out of left field? 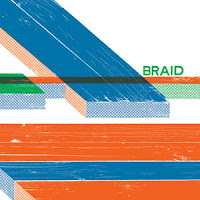 Yes, you read it right--Braid. The very same Braid that quietly helped shape the modern emo scene has returned. And "returned" shouldn't be taken lightly, as Braid's decade long absence has left a hole in the scene. With their last proper release over ten years behind them, Braid has arrived with four new songs in the form of an EP. Closer to Closed is as solid an EP as fans could ask for. Few things have changed since the Frames and Canvas days. Bob Nanna still softly and confidently sings emotional themes, albeit less so this time around. The band as a whole is as wonderful as always, with the percussion standing out as especially likeable. The looping guitars still dance freely, giving the entire EP that "twinkly" sound that's become a genre staple. It's a solid package indeed, with each track being outright excellent. The brevity is a little disappointing however, as the record feels as if it ends before it even begins. Still, "Universe or Worse," as well as the rest of the songs, are wholly enjoyable, and worthy of multiple plays. They're more subdued this time around, tapping into the more "indie" sound that Braid has always had. It displays maturation and musical growth, and is welcome. Some may find Braid's slightly altered sound a little off-putting, as it seems a little too close to Nanna's other band, Hey Mercedes. Regardless, the collection of songs are simply excellent on their own merit. And who knows, maybe Closer to Closed could signal the second coming of Braid? If so, this EP is a great place to begin anew.